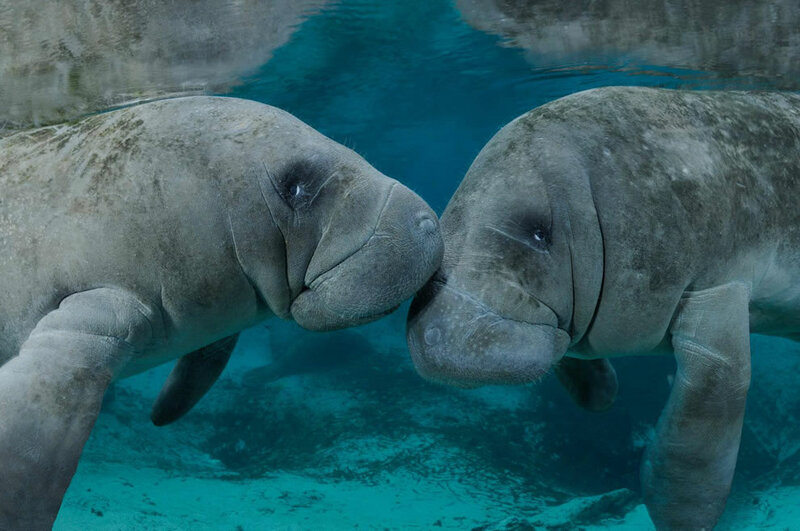 Massive yet gentle, manatees are endangered marine mammals. Sometimes called “sea cows,” they were once thought to be a bit dimwitted, but now are known to have a similar intelligence to dolphins. We fell in love with them while we were in Florida, so here’s look at these endearing, endangered gentle giants.